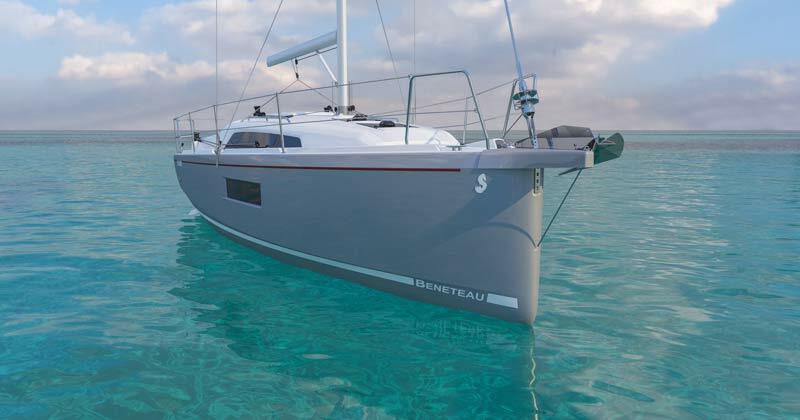 The smallest yacht in BENETEAU’s cruising range boasts trailability, incredible living space for her size and focuses on simplicity, yet she is as stylish and beautiful as ever. There’s a good chance that she will rank ‘best in class’ throughout her career. 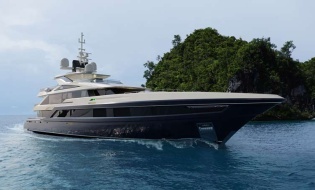 She will be unveiled in all her splendour at upcoming Boot Düsseldorf 2019. 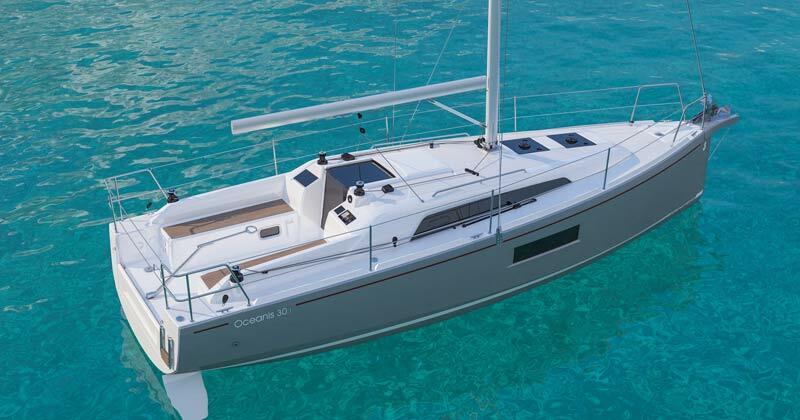 With a hard-chine hull and well-proportioned sides and coachroof, the Oceanis 30.1 honestly looks like a small yacht. The aft beam has space for two steering wheels, which frees up the cockpit. In the configuration with a tiller lifting on anchoring, there is even more space available. Apart from being visually attractive, the unstayed mast with swept back spreaders gets rid of the back stay and frees up aft movement. The same goes for the mainsail sheet, which, placed forward of the companionway, frees up space while making manoeuvres safer. On either side of the large fold-away cockpit table are two large benches, which easily seat up to six guests. Aft, a step affords access to the sea and can be supplemented by a small lifting platform. Successfully meeting a very demanding set of specifications, particularly in terms of volume and cruiseability, the Oceanis 30.1 has won a few extra centimetres in strategic places, and in this it stands apart from its competitors. 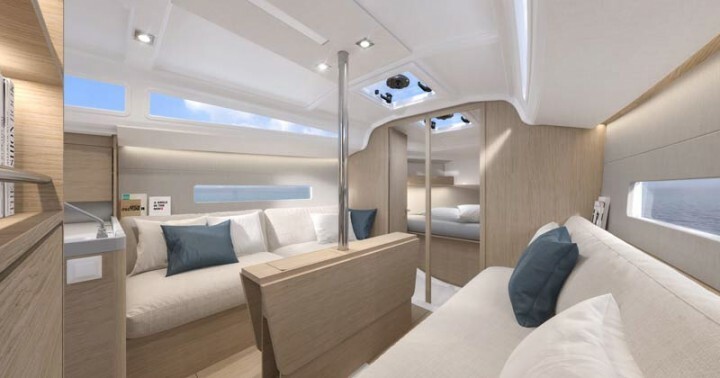 By making the soles part of the boats structure, headroom has been increased to 1.98 m midship and 1.85 m in the two cabins. 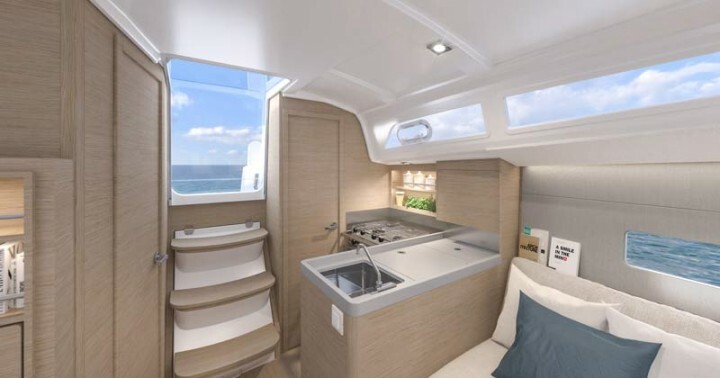 The centimetres won at the bow and aft, give her length enough for two goodsized double cabins, a wonderful open space (a real entranceway for each of the cabins) and allow lengthwise berths. The two times 2 metres of benches in the saloon provide an additional place for extra berths. The large shower room is divided into a marine toilet on one side and shower and washbasin on the other. At the foot of the companionway, the L-shaped galley has top and bottom storage, a 75 litres refrigerator and a real oven under the gas hob. Another important element of com-fort on the Oceanis 30.1 is the gently sloping companionway (3 steps at 33°) present on all the BENETEAU cruising range yachts. And because boating for everyone requires affordable prices, the Oceanis 30.1 is an-nounced at a ready-to-sail price that beats other cruisers in its category.